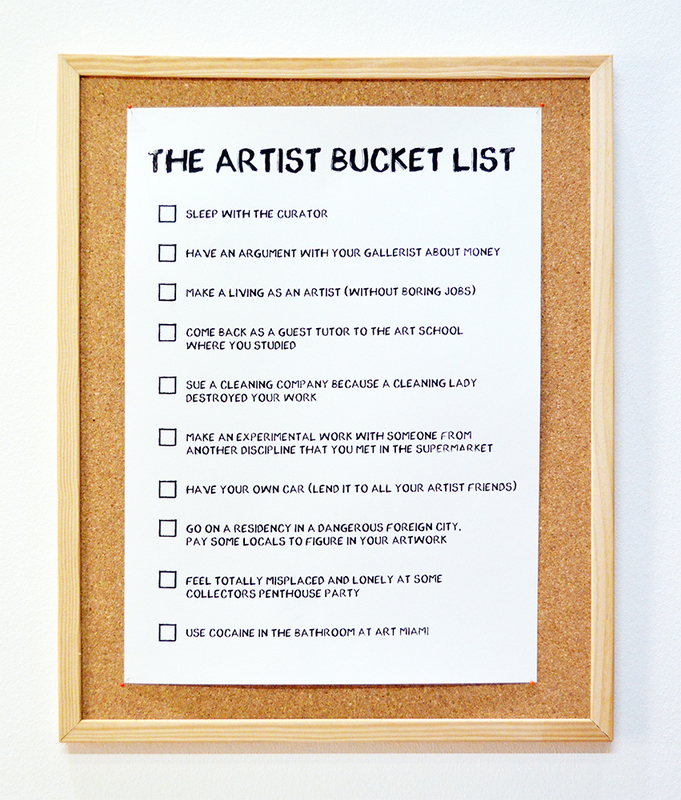 Ten bucket list items to complete the artist’s life. Some sent in by friends, most by myself. Made to reflect upon the things every artist seems to experience. Shipping costs and payment details will be sent to your e-mail as soon as possible once the order has been placed. Please notice: all fields below are required, except Remarks. If you have any questions, please use the Remarks box.